Wow! 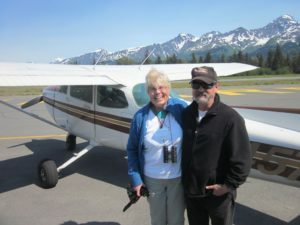 It’s been a long time since I’ve posted a blog, though many of you have been following my adventures in Alaska via Facebook. I just arrived home from this amazing trip Thursday night, and my mind and heart are still filled with vast and startling images of Denali and Kenai Peninsula. My overall favorite memory is flying in a small four-passenger plane over the Harding Ice Field, 40 miles long. 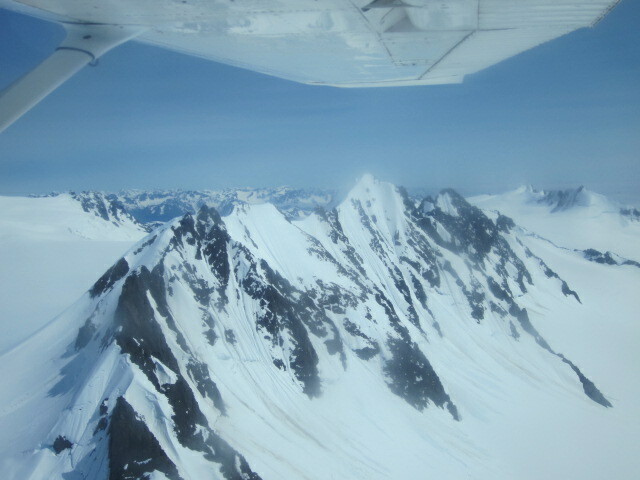 We got to fly up and over six of the 32 glaciers, great rivers of ice flowing out from the Ice Field. And the single image that will stay with me always, is flying up the Russian River to Russian Lake, where we looked down at grizzly bears, wading in the river to catch salmon. We were close enough to see a mama grizzly and her two cubs walking along the bank of the river. Then, as we watched, two bald eagles flew beneath our plane, wings outstretched, white tails fanned. And I thought, I have flown ABOVE eagles. This is what Alaska means to me–to fly above the eagles. I will not forget. Peggy, I am soooo happy you got to do this ... fly higher than eagles! What a feeling! Wonderful pictures. I see you are enjoying life to the fullest and highest!